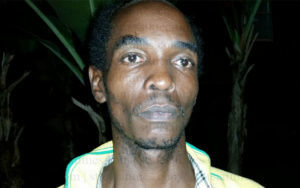 Shane Emmanuel considers himself and his family fortunate to be alive after a fire on Wednesday destroyed the two-storey building in which he, his girlfriend and a three-year old son lived at Sunbilt, Castries. Emmanuel, who lived in the downstairs apartment, said he was about to take a rest when the fire broke out in the apartment upstairs. “I don’t know what would happen if I had gone to take a rest,” he said. According to the resident of the Sunbilt area called ‘Cape Town’, he was watching television when he heard a ‘funny sound like something sparking’. He recalled that upon investigating, he realized that the apartment upstairs was on fire. Emmanuel and his family barely escaped in time, before the entire building was engulfed in flames. He, his girlfriend and a three year old son fled for their lives with only the clothes they had on at the time. All their other possession were devoured by the flames. Firefighters who arrived on the scene could do little to save the structure. Kysia Stephen who occupied the apartment upstairs, recalled that she had returned home about 6.00 p.m with her children, aged 6, 5, 3 and 1. Stephen said she left for a shop in the area, with her children behind her. She said on her return, she saw the fire. 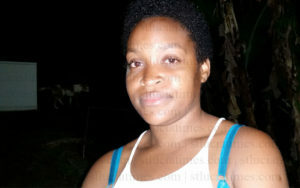 “ My sister told me the people downstairs were calling me ,asking for my children, but they were not home.When we came up we saw the whole place on fire,” she told St Lucia Times. Like her downstairs neighbor, Stephen also lost everything in the fire. However, she explained that the situation could have been worse and said she was thankful that she and her children are alive and unhurt. The cause of the blaze is currently being investigated. Sad… These people could sure use a Disaster Relief Fund right about now……..
Can we ever get to know what is the cause of all these fires? its a terrible experience for all the house owners,thankfully in this case there was no victims. I am happy that no one lost their lives and it was unfortunate that all the possessions are lost. What the news didnt say is that there was only one tenant, which is the girl upstairs. Shane however was leaching off his cousin and refused to pay rent for over 10 years. He had no electricity down stairs so how you watching tv? You take a branch from where, upstairs? All this can cause fire. The house belongs to his aunt who lives in the U.S. The bottom where the leach stayed was her daughter piece. Now he asking to help build back as if it’s his house. Mr. Parlimentary Rep whatch out for him. Ask them if the house is theirs? Find out who the real owner is? Stop trying to scam the government Shane!